The world is divided into two type of people: those who LOVE cars and those who just drive cars. The former group of people understands things like Kilowatts, torque, engine size, brake horse power and the latter group of people know about the number of USB ports, cup holders and how to pair their Bluetooth. 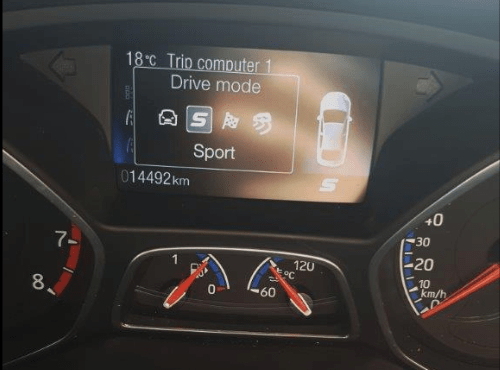 When I received the Ford Focus RS, after composing myself, I immediately recognized that I needed help from a pro to understand what all these buttons do. Don’t get me wrong. I understand exactly what this beast of a car can do. 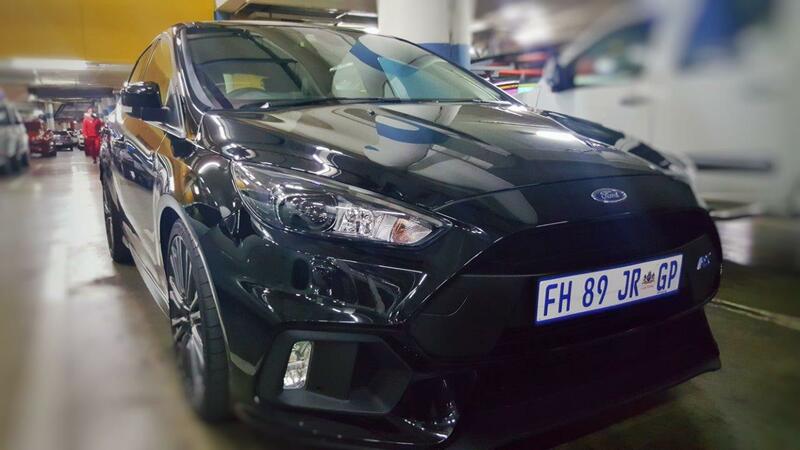 The last time I drove the Ford Focus RS, I was at the Ford test track in Detroit, USA with Gene Martindale racing with none other than Ben Collins a.k.a The Stig from Top Gear. 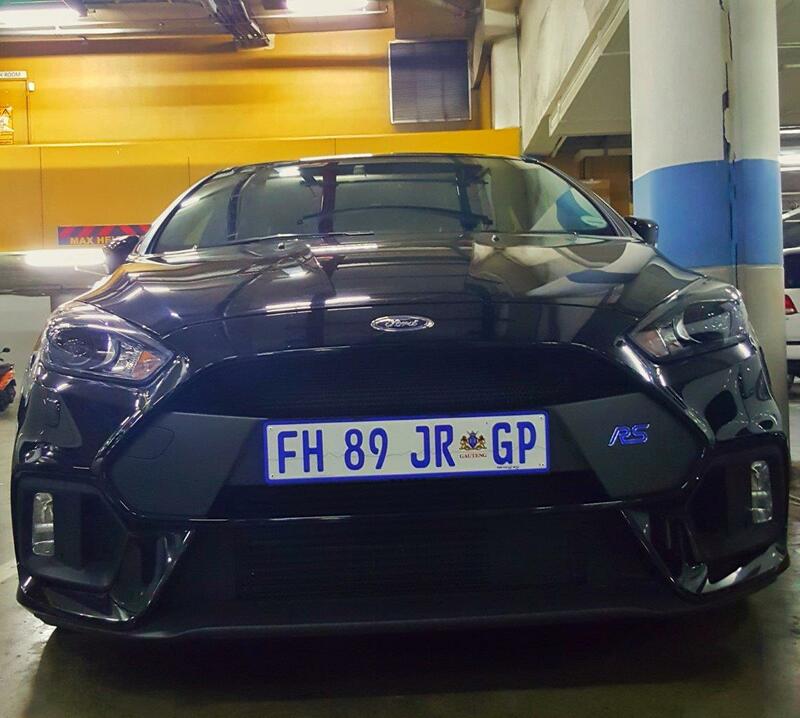 I enlisted the help of SA’s top motoring guru, Matthew Kanniah,who showed me a thing or two so that I could unleash the real power of the Focus RS. Normal Mode – eh…normal car-drive-to-work-fetch-kids-pick-up-dinner mode. Sports Mode – this is where suspension and stability controls are normal but you do get more feeling from the steering and superb pop pop exhaust sounds. Track Mode – this is where you become the race car driver on the race track. You can set and change the various configuration so the car behaves as you like it to on the track. Essentially, you could drive this car out of the Ford dealership and onto a racetrack without changing a thing. I put the Focus into Sports mode and put my foot down. The uncontrollable grin which emerges made me think that that the S should change from Sports to SMILE as the RS roared and did its thing flawlessly. Matthew showed me an almost hidden button on the right side of the steering wheel. Holding this button in allows you to engage or disengage the magnetic dampers. The shock absorbers, absorb the usual road bumps making the ride smoother. 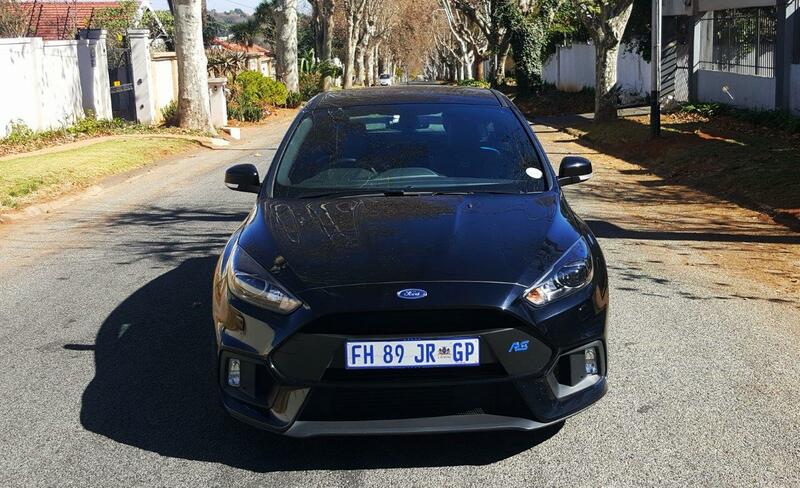 With the Focus RS, you have a magnetic suspension that you can choose to enable or disable making the ride smooth or tougher depending on the road conditions and how responsive you need the car to feel. 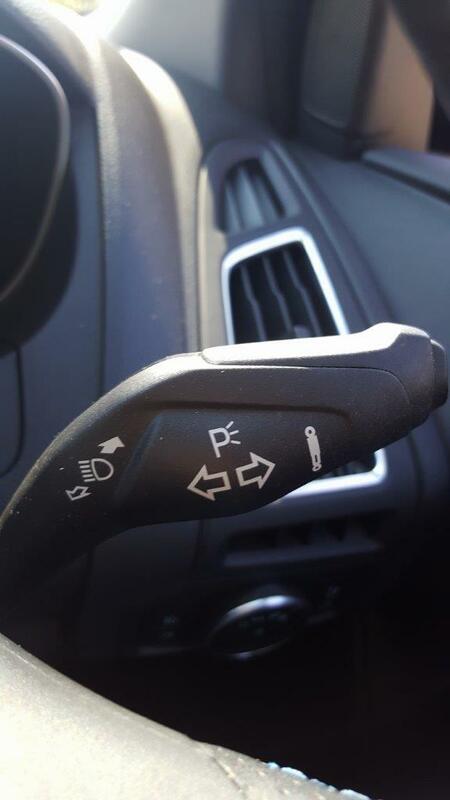 In the various modes, these are automatically engaged but you can override the settings and just disengage them. 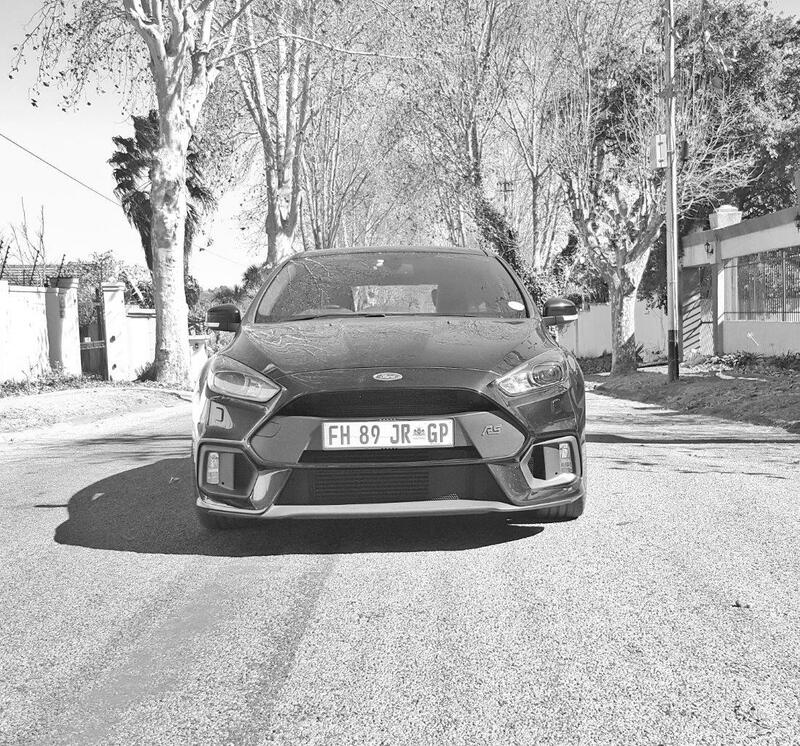 When you stop at a traffic light, move the gear into neutral and take your foot off the clutch, the Ford Focus RS switches off. The first time this happened I was caught off guard thinking the car stalled so I immediately put my foot on the clutch and the RS switched on again. 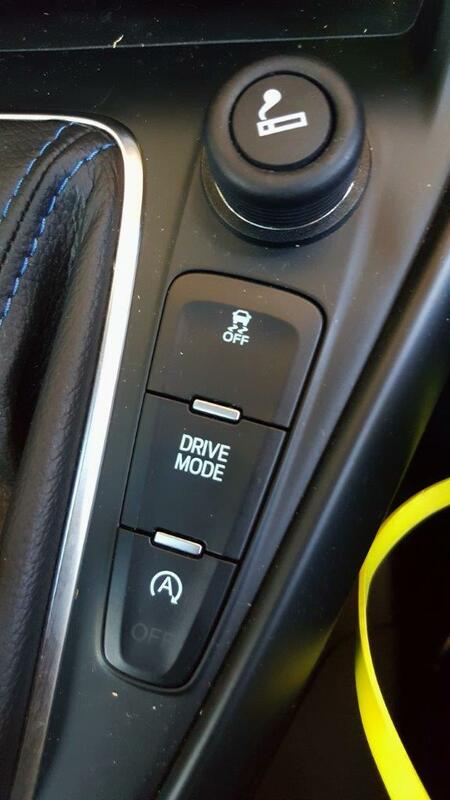 This is a fuel saving feature that you can choose to enable or disable. Matthew explained that in the “old days” starting the car drew loads of petrol from the tank so the constant on/off of a vehicle meant that you wasted petrol. However, technology has changed. Now just the valve closes so the moment the car switches on, there is already fuel ready to go. Good to know. Also good to save some fuel money as you start/ stop your way through traffic. Ford Sync infotainment system is in the RS which means you don’t have to take your hands off the wheel to control systems such as music, phone, and air conditioning. Between the driver seat, hidden under the arm rest, you will find a line in, USB port, 12v socket, and even an SD card slot. Be Warned: The RS is a head turner. You will be asked a million questions about the car People just love it. What I like about the Ford Focus RS is that it is a normal daily commute car. I collected family from the airport, my kids were comfortable in the back, I shopped and I suffered the Joburg 5pm “rush hour” traffic. HOWEVER, and this is the important bit, at a touch of a button, this normal car could transform into a purring beast ready for action!